Some of our weathervanes incorporate open space in the design while others are more solid and massive in appearance. 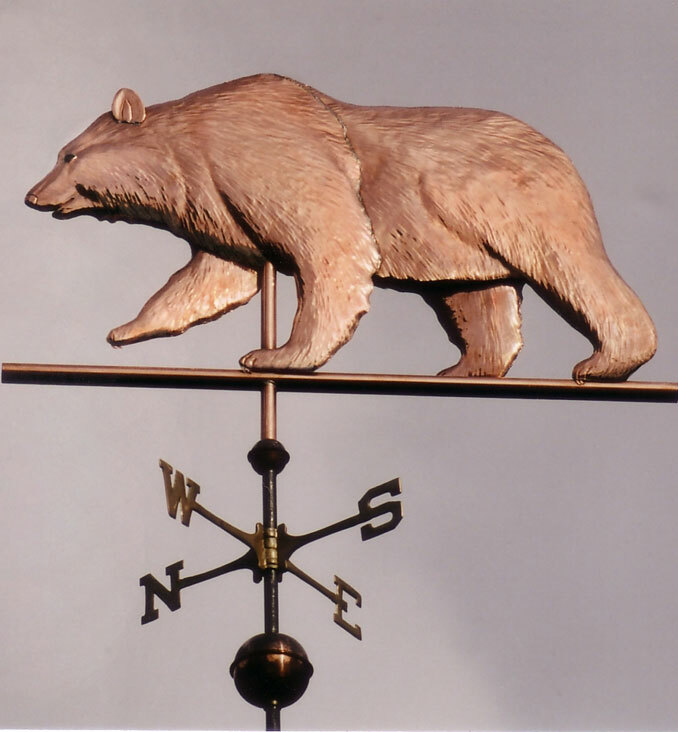 The design you like might affect which size weathervane you want for your installation. 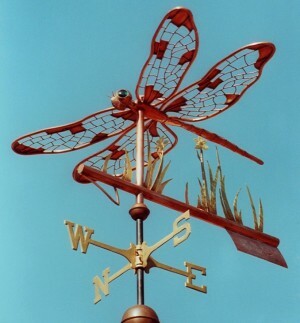 For example, if you like the Dragonfly Weathervane shown below and you are considering two different sizes for your installation site, it might be better to go with a larger size because of the open nature of this design. 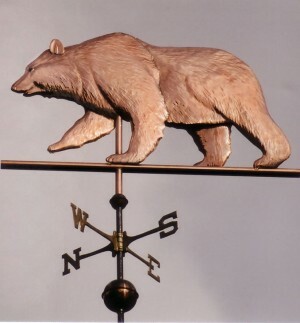 However, if you prefer the Grizzly Bear Weathervane and you are considering two different sizes for your installation site, you would probably be OK going with the smaller size under consideration because of the massive appearance of the design.